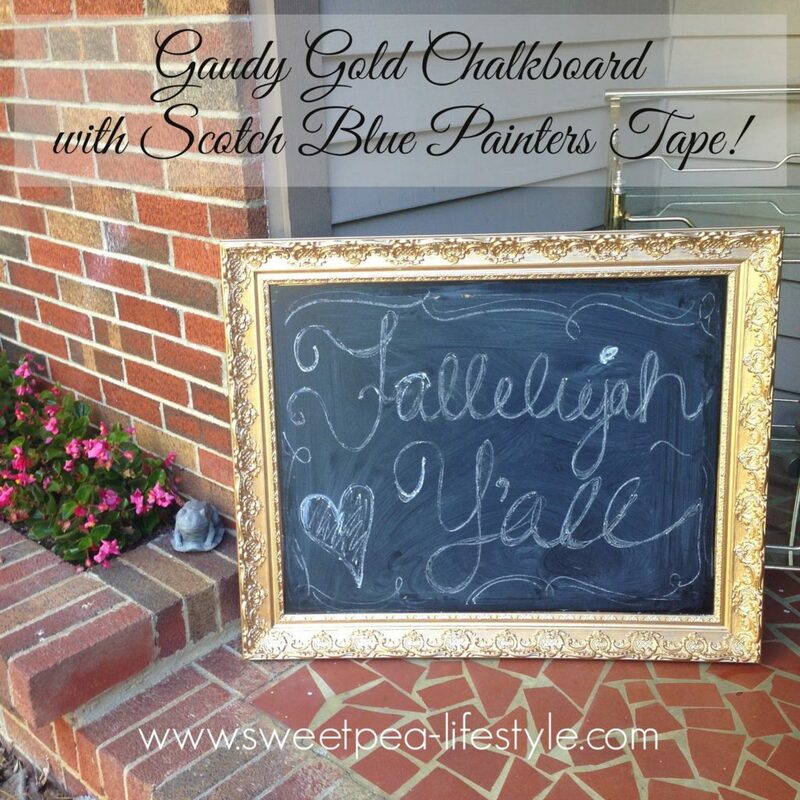 Gaudy Gold Chalkboard with Scotch Blue! I love this season. I think it’s my favorite! Mostly, because I live in the mountains, where the leaves change to gorgeous colors. Be sure to follow my instagram account to see the progression of the season along the Blue Ridge Parkway! A little too grand of projects. 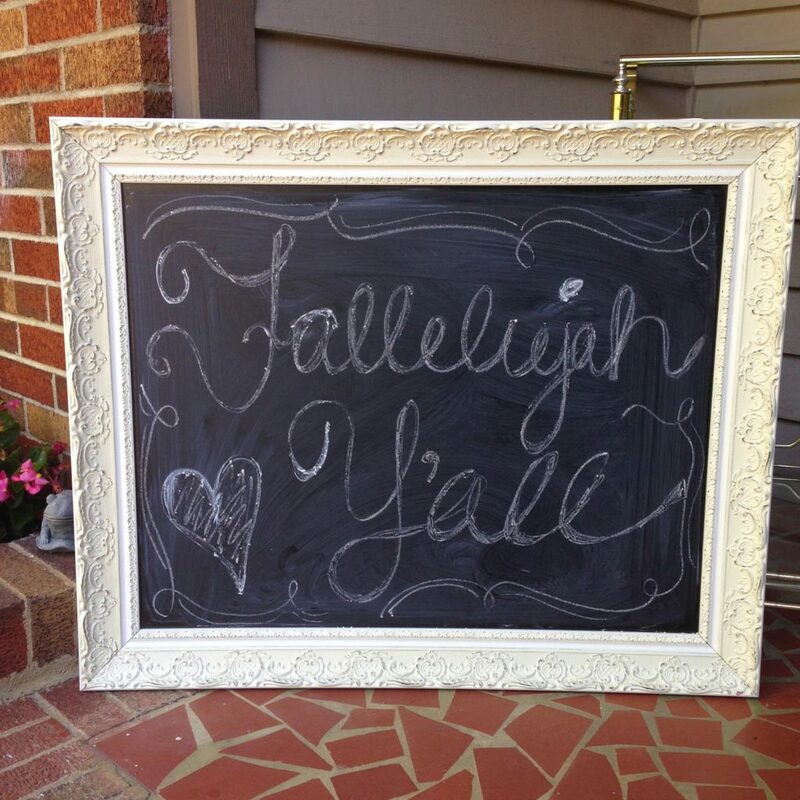 Recently though, I had purchased a new chalkboard from TJMaxx, and liked it okay. 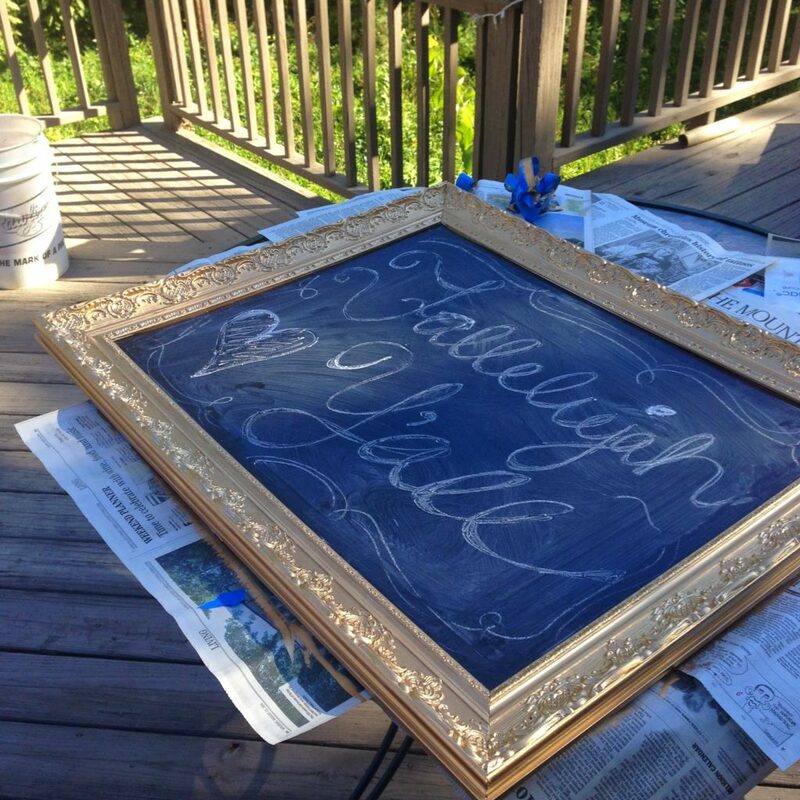 What better way to use ScotchBlue TM Original Painter’s Tape, than slapping a gaudy gold all over the distressed white?! This was the before. Not bad, just not want I wanted! This project took me maybe 20 minutes. Have you ever used Liquid Leaf?? 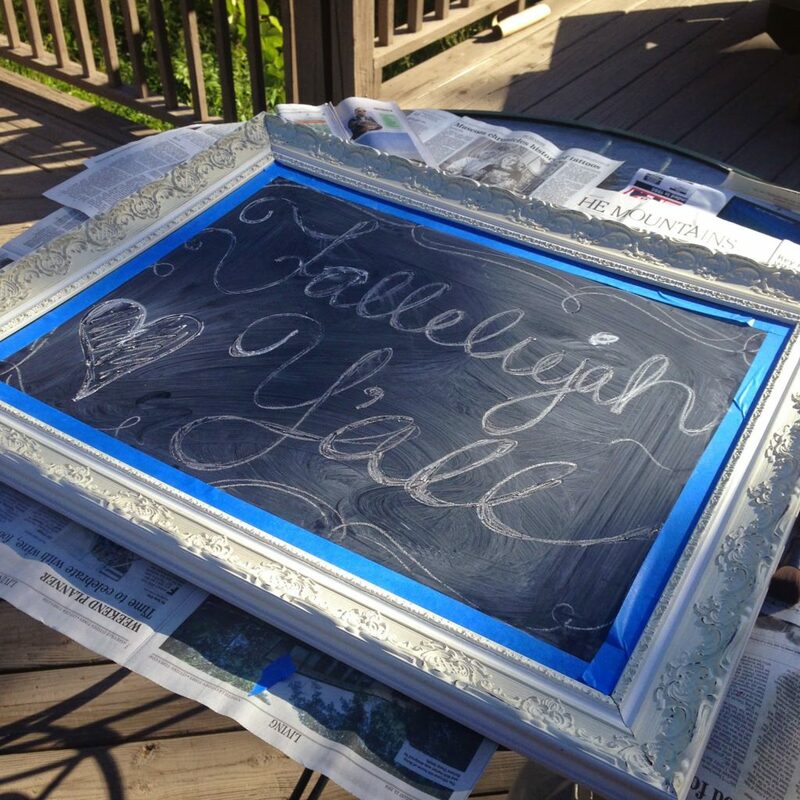 If you haven’t, buy some and find something to paint! It dries in a few minutes, so adding a second coat (if needed!) is not laborious. A very small amount is needed, and you can find it in your local craft store! 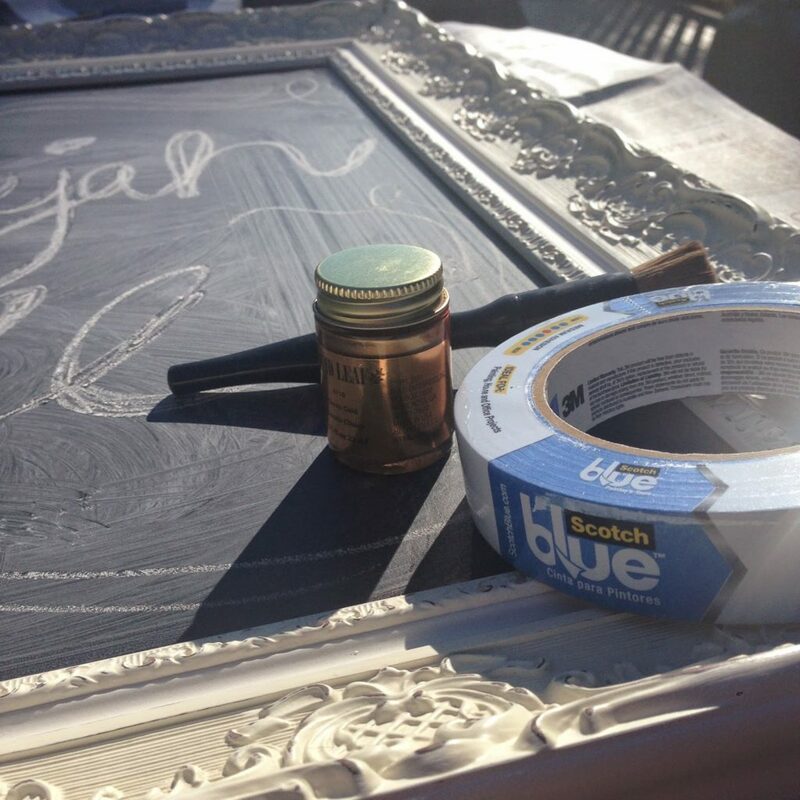 First, I taped down the edges of the chalkboard. Yep! I even left my “Fallelujah Y’all!” on the board. Once I had the edges taped down, I poured about a teaspoon into a styrofoam bowl. This paint sticks, so use disposable items. A little at a time is the best way to use the paint. Because of it’s fast drying time, I learned the hard way that it will dry before you’ve used it….. Just your friendly PSA. I “buffed” the paint on, using an old makeup brush! They say use fluid strokes, in one direction. 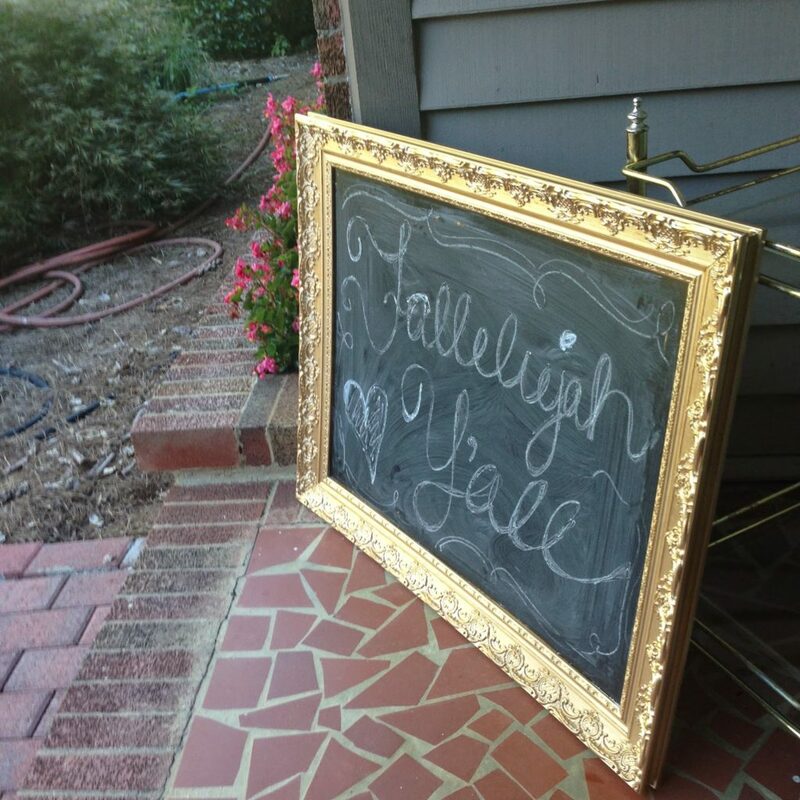 But, with the ornate detail of the frame, buffing seemed to work better at getting into the nooks and crannies! After one coat, this was the end result! Pretty exciting stuff! Let it dry for a good half hour before touching. Carefully review the piece and make sure you don’t need to do any touch ups. And, here she is on our front porch! With the hose in the background…. Yep, we’re those people. Now, get to the craft store and get painting! « Summer with Trader Joe’s Week #3: COCKTAILS.